After few days in college, Jobs soon realized that it was in no way going to fulfill his dreams. Working for many firms and designing calligraphy Jobs teamed up with a pro engineer, Steve Wozniak to produce world’s first personal computer. Jobs had this flair about him to never get into market research and achieve greatness just by following the gut feeling. The founder of the pioneer computer product manufacturing company Microsoft, Bill is one of the most recognizable faces in the world. He started his entrepreneurial career by founding the company with partner Paul Allen. He dropped out of Harvard before Microsoft because he just could not bring himself to go to class. The Swedish creator of Skype had envisioned seamless and easy file transferring over internet. To accomplish his goal he co-founded KaZaA Media Desktop which became one of the most popular ways of trading multimedia files over the web. After facing a lot of controversies and ruthless lawsuits, Niklas went on to design Skype which was based on similar technology as KaZaA. 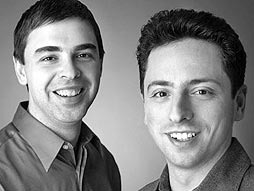 Larry’s dream to have the whole web saved on a hard drive pushed the duo of Stanford PhDs to build what is now the greatest search engine in the world. Started in a garage with nothing more than ideas and passion, the team faced lots of issues in the early days. Google is now one of the most successful tech companies and has produced many products with a goal of changing the face of the world. Vision: Know what your friends are up to. The Harvard drop out had barely any experience in business and hardly any money to start his entrepreneurial venture. In those times he relied completely on his gut and believed in the people around him. 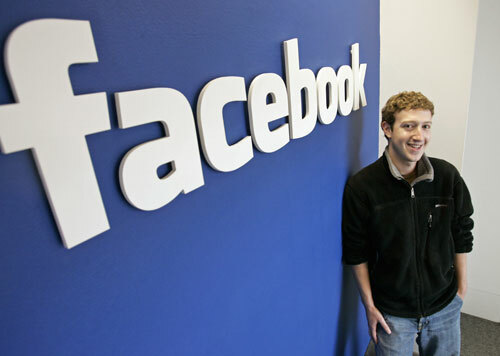 Now with a multi billion tech IPO, Zuckerberg stands to be one of the youngest successful entrepreneurs ever. Shot with many controversies all the time the leader of Facebook never gives up on the fighting spirit and keeps going forward. In 1939, a toss of coin started the company for a mere $538 right in the middle of garbage. The duo then moved on from designing electric appliances to semiconductor based products and now their company is one of the biggest tech companies in the world. What was once envisioned by William and David, electronics and allied appliances is now a house hold term. Built for personal use by the two Stanford University alumni, Yahoo is now one of the most popular search engines around. When they came up with the idea of developing the product they were merely college pass outs and had barely any experience to build the tech empire that Yahoo is today, although slashed with a tumbling management and controversies in recent times.